Yet rain and snowmelt carry trash, oil, chemicals and pet poop into our waterways. When it rains, it drains. 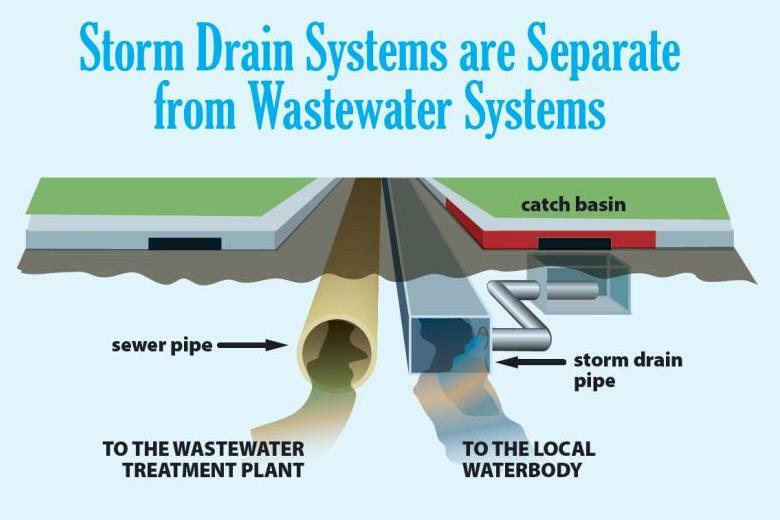 Stormwater runoff in Colorado Springs isn’t treated and flows directly into our local waterways along with any other pollutants it collects along the way. This dirty water can harm people, animals and plants. Whether we mean to or not, we all pollute water. Everyday activities such as driving the car or walking the dog can add up to big problems for our waterways. Cleaning up dirty water and repairing blowouts from rain events is expensive. If we all do our part to protect water quality, we all win. We’ll keep our creeks and rivers clean for recreation and enjoyment both today and for future generations. Remember, we all live downstream from someone else. We don’t want them sending their pollutants and dirty water to us. We also live upstream from someone else and we have a responsibility not to send our waste downstream.